By Leah Dobrinska. Jul 31, 2018. 9:00 AM. Not only were the stories of Harry, Ron, and Hermione and their adventures at Hogwarts a special brand—the type of tale that comes around once in a lifetime—but J.K. Rowling’s Harry Potter series was also published at arguably a most perfect moment in history. The value of the book as a physical object was at its peak—brick and mortar bookstores reigned supreme and e-readers had not yet gained popularity. Legions of Harry Potter fans thus congregated for “release parties” at local bookstores where they waited in their house colors and Potter-inspired spectacles for the clock to strike midnight so they could get their hands on the newest installment of Harry’s adventures. There was something euphoric about holding the book and physically paging through it, after the months and months of anticipation. At the risk of being clichéd, the Harry Potter books were (and are) magic. 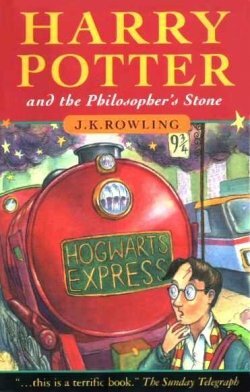 The books, of course, are valuable collectibles, with first editions of Harry Potter and the Philosopher's Stone selling for several thousand dollars. In celebration of Harry’s birthday, we’ve rounded up some of our past posts honoring Harry Potter. Enjoy!